After the castle was destroyed in 1462 in a siege let by a coalition of forces of the cities of Colmar, Strasbourg, and Basel, the Habsburg emperor Frederick III handed the castle to the Counts of Tierstein. They rebuilt and enlarged it, installing a defensive system suited to the new artillery of the time. During the Thirty Years War, the castle was burnt to the ground by Swedish forces and it was left abandoned for two hundred years. In 1862, the ruins were classified as a historical monument and, three years later, they were bought by the nearby town of Selestat. A restoration project was decided on but, in 1871 following the Franco Prussian War, Alsace region was annexed to Germany. 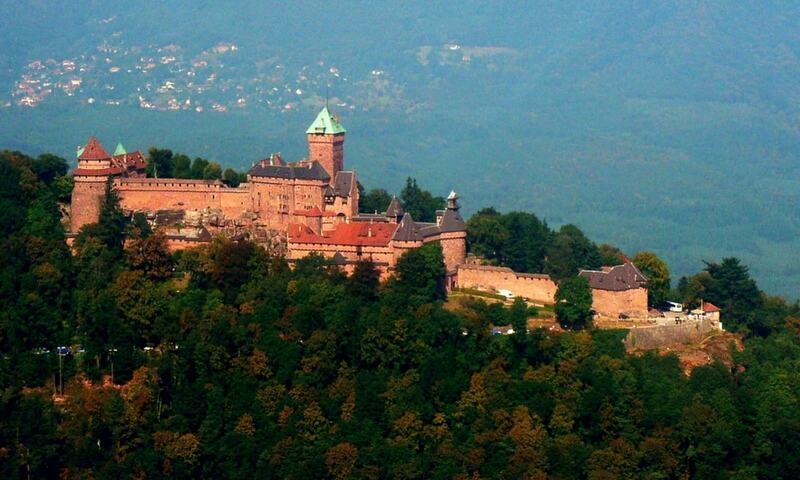 As a consequence, in 1899 the citizens of Selestat granted the castle to the German emperor Wilhelm II. The Emperor was eager to underline the fact that Alsace was German territory once more. He therefore decided to undertake a complete restoration of the castle. Work started in 1900; eight years later on May 13, 1908 the restored Hohkonigsburg (as it was named at the time) was inaugurated in the presence of the Emperor. After World War I, the French state took over the castle in accordance with the 1919 Treaty of Versailles. The building is now fully restored and it is a major tourist attraction in the region with more than 500.000 visitors every year. 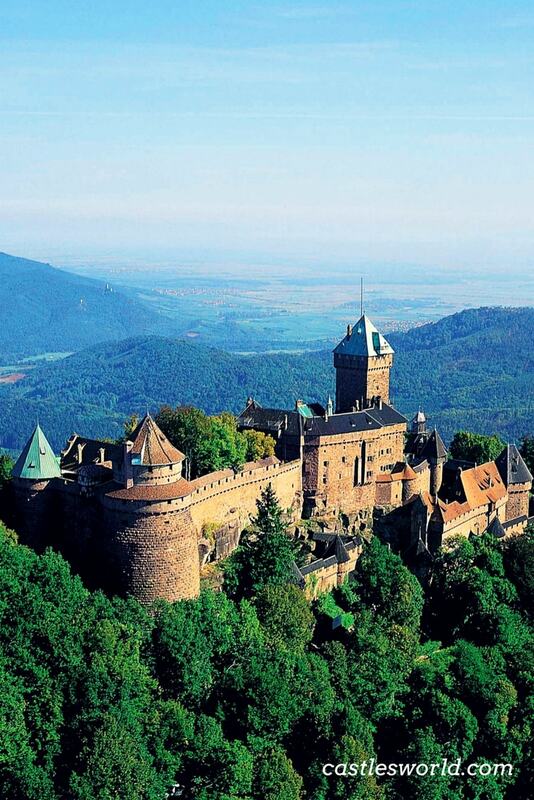 The Castle of Haut-Koenigsbourg is an accurate image of what a mountain fortress looked like in the Middle Ages.